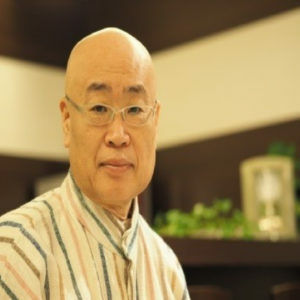 Urayasu Shimizu is a famous psychic and medium from Japan. His message is that every divine spirit that lives in this world has an Inner God with them. He will be talking about the Ascension and the New Earth. Urayasu is the founder of Non-Profit Organization One Drop Project. In 1991, he became aware of an inner voices from the spirits. At the time, he was managing thirty-nine Pizza Delivery franchise chain stores, and six Tendon Delivery franchise chain stores. He was began connecting to his Inner God and spirits such as Tempu Nakamura and Amaterasu-Ohomikami-Mitsueshro Yamatohime giving him wisdom and teaching him how human should actually be. In 2003, he liquidated all his businesses. In 2008, he established Good Match Relationship by Nami Atago Agent with Nami Atago. By activating the wisdom from his Inner God, he started developing the divine nature as the lead of private school “Ryo-En-Jyuku”. In 2014, he established the One Drop Project and requested the composer Akio Miyagawa to write a symphony, “The Song of Happiness for the Spirit”. He wrote the text for the 4th movement, and formed the One Drop Choir to perform it. Choirs have been formed in the United States, Turkey, and nine locations in Japan for performances of the symphony. The piece calls out to people that they live with their inner god and to “Awaken your inner god (One Drop), acknowledge the inner god (One Drop) deep within your heart, live with you inner god (One Drop), and understand that the god is within you”. He is the author of books such as LILA’s Gospel – the Gospel of Sun, I was waiting for this day. The day I became a human, and The 2 Earths. Which one will you choose? A mystical Earth that looks a like to Earth. His interview should be really Out of this World – I hope you all can listen!